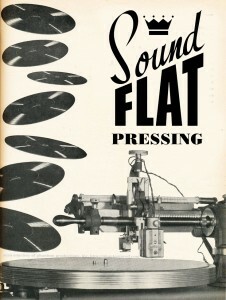 is a divison of Soundflat Records in cooperation with Munster Vinyl! With more than 16 years of experience in releasing vinyl, we know how to make records! That’s the reason we are starting this service! We offer bands, musicians and record labels to manufacture your record(s)! If 12″, 10″, 7″, picture-discs, shapes or also CDs, everything is possible! The minimum quantity of pressings you can order via us are 250 copies, but there is no maximum limit! We can produce with or without sleeves, gatefold, inlay, printed innersleeves, boxes and many more extras! Feel free to ask and we will take care to manage everything for you. Please write for more information, prices etc. Please note, you will find more details and information here later, because this site is under construction!